We pride ourselves in every aspect of production and supply. Here at Victorian Citrus Farms (VCF), we are dedicated to producing trees of the highest standard and health status. 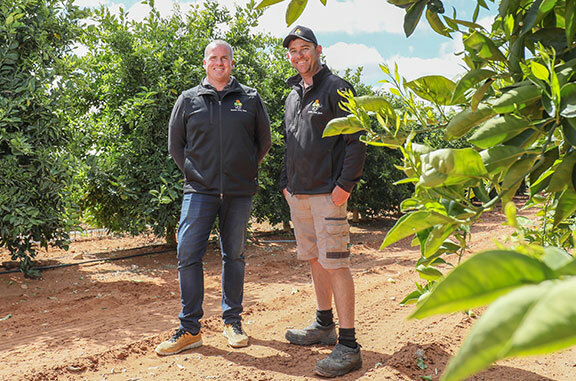 As citrus growers, we have become one of Australia’s most well recognised and most trusted suppliers by placing such a high importance on hygiene policies and continuing to follow the Auscitrus budwood scheme. We supply Australia wide and we are a NIASA accredited nursery and licensed to grow both public and private varieties of citrus and avocado. With more than 20 years of experience in the citrus and avocado industry, we have the knowledge and experience needed to ensure you receive world-class service and expert advice from day one.